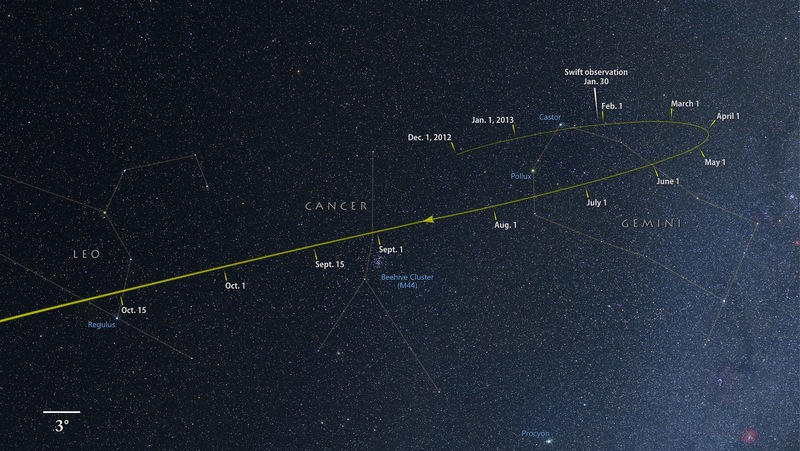 From now through October, comet ISON tracks through the constellations Gemini, Cancer and Leo as it falls toward the sun. The comet is starting to develop a tail primarily from dust particles (it isn’t yet close enough to the sun to sublimate gases as comet PanSTARRS currently is). Visual magnitude is still at or beyond the limit of most amateur telescopes.